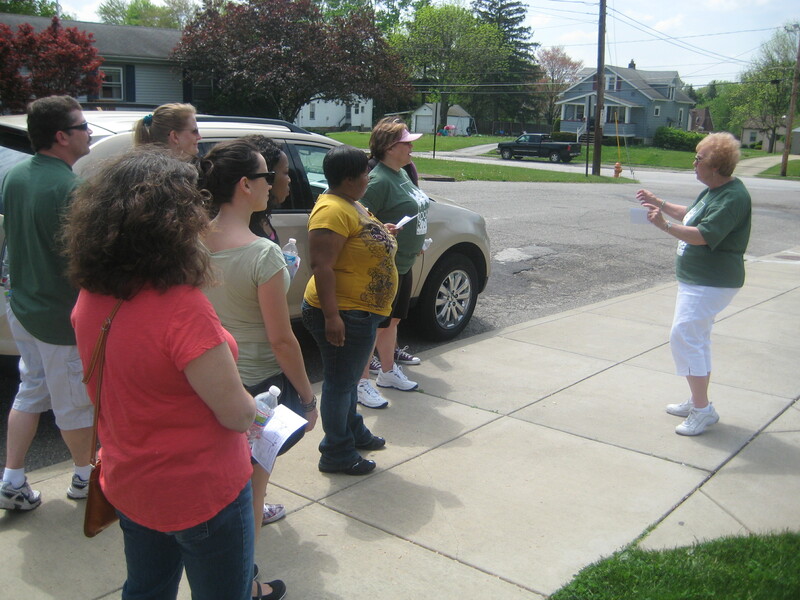 In 2012, the Rocky Ridge Neighborhood Association participated it its first-ever Jane Jacobs Walk. The Late Jane Jacobs, author of The Death and Life of Great American Cities, was and urbanist and activist who reshaped what it meant to think about the functioning of cities (learn more about Jane Jacobs and Jane Jacobs Walk events). The Neighborhood Association came together with a Kasey Johnson, a YSU graduate student, to put together the event in Rocky Ridge. 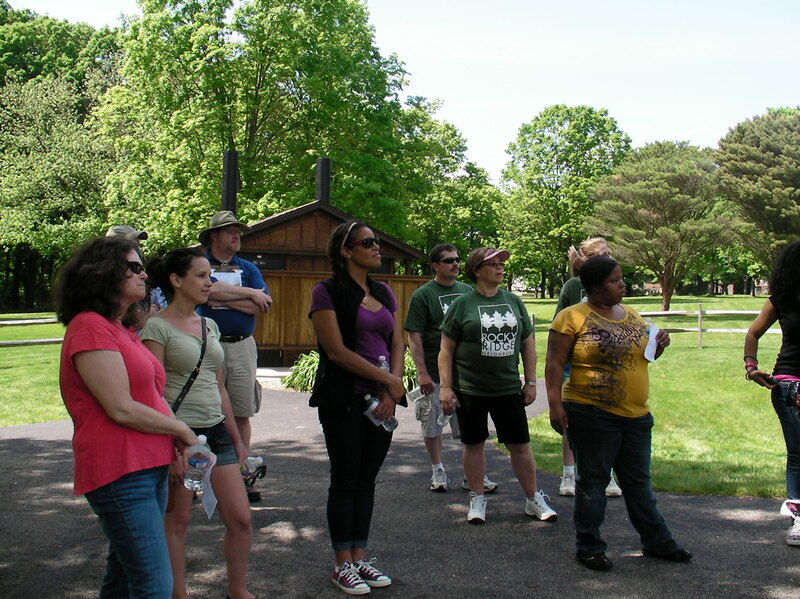 The two-hour walking tour brought neighbors together to experience the neighborhood’s culture and history on a personal level. 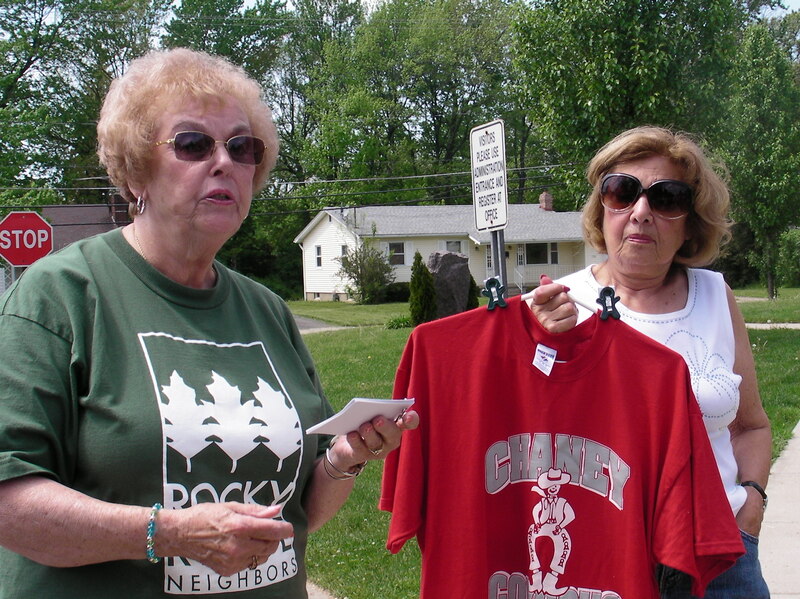 Sites included The Shrine of Our Lady for its religious and ethnic contributions to the area; Chaney High School, with an interesting history of academics and athletics; the home of the previous year’s Volney Rogers Emerald Pierogi Award Winner; and the Charles S. Robinson Maple Grove, where the Rocky Ridge Neighbors now collect sap for Mill Creek Maple Syrup. 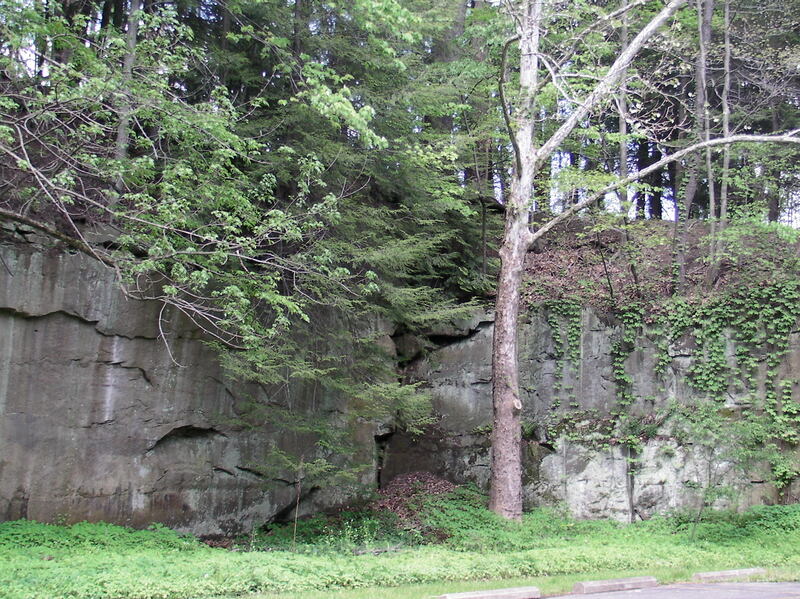 Explanations of the “rock ridge” on which the neighborhood sits provided the origin of the Rocky Ridge name. Executive Director of the Mahoning Valley Historical Society, Bill Lawson, also gave historical information relating to the industrial settlement of the neighborhood. On top of that, participants got to see the plans for what is now the Julianna Kurinka Children’s Play Area, when the play area was still in the planning and renovation stages. Overall, Jane’s Walk had neighbors getting out of the house to see their neighborhood up close, learning a few things and socializing.